The ACTRU Team is made up of 15 members. We come from all walks of life focusing on one common goal: Improving the lives of individuals impacted by Alzheimer's Disease. Program Manager: Jessica Gerber, MS Lic. Ac. Most recently Jess joined neurologist Dr. Steven Arnold’s research program ACTRU as Program Manager. Here she oversees protocol start-up activities for over 15 studies primarily focused on the identification and prevention of Alzheimer’s Disease; eight of these studies are clinical trials with pharma interventions. She coordinates sponsor and regulatory activities, resource allocation and program staffing for all protocols as required. In addition, Jess is the Program Manager for the newly forming Interdisciplinary Brain Center for Translational and Clinical Research. The IBC will be both a state of the art Clinical and Translational Research Unit shared with the I3 (Institute for Innovation in Imaging) and an academic collaboration between the MGH Departments of Neurology, Psychiatry and Radiology (specifically Martinos Center). Jess contributes by identifying and organizing the facility and service needs of the researchers predicted to use the space. Additionally, she is coordinating all start-up activities related to the CTRU of the IBC/ I3 including but not limited to inputs to the space planning and design, predictive modelling and budget justification, utilization forecasting and staffing. Jess is also helping to coordinate a common assessment that all subjects participating in research at the CTRU of the IBC/I3 could take part in; eventually she will help organize access to this data from researchers from all over the globe. Jess looks forward to continued collaborations with researchers of all backgrounds to further support the IBC mission which is to facilitate and synergize research for brain disorders. Becky earned a first class degree in Medical Sciences from the University of Oxford in 2005, then moved to the University of Edinburgh to complete her PhD in Molecular Medicine in 2010. Her interest in personalized medicine began during her PhD where she studied the effect of the DISC1 gene, which is mutated in a family with an enrichment for psychiatric disorders, on the signaling pathways involved in schizophrenia. Becky moved to the USA after her PhD and completed her Post-Doctoral training at Yale University under the guidance of Professors Angus Nairn and Amy Arnsten. During this time she studied the use of extremely old primates as models for the onset of dementia in humans, produced a protein atlas of the human brain which was published in Nature Neuroscience, and developed a cell-type specific method for measuring protein translation dynamics in mouse brain. In the summer of 2017 she moved to Boston to join ACTRU, and is excited to be part of a dynamic and inclusive program that thinks outside the standard paradigms of Alzheimer’s Disease treatment. Each individual that comes to ACTRU has a different disease presentation, a different subset of associated medical conditions, and a unique history. By treating each individual as their own control, we hope to improve the lives of individuals with Alzheimer’s Disease in the short term and make significant steps towards making personalization of dementia treatment a long term reality. Dr. McManus is a Family Nurse Practitioner who supervises translational and clinical trial activities within the Alzheimer’s Clinical & Translational Research Unit. Her work broadly involves the management of the research team engaged in the conduct of sponsor and investigator-initiated trials as well as the clinical care of patients enrolled in clinical research projects within the ACTRU. Dr. Williams received a B.S. in Psychology from the University of Texas at Austin (2008), and subsequently worked as a research assistant at the Martinos Center for Biomedical Imaging. She received a doctorate degree in Clinical Psychology (Neuropsychology emphasis) from the University of Houston under the guidance of Dr. Jack M. Fletcher (2015), and completed internship within the UCSD/San Diego VA Clinical Internship Training Program. Before joining the Arnold lab in the summer of 2017, Dr. Williams completed a clinical-research postdoctoral fellowship at the Boston VA Hospital investigating how cardiorespiratory fitness attenuates neural and cognitive decline in aging. Holly graduated with her BSN from Salve Regina University in May 2016. Soon after she began working as a telemetry nurse at Falmouth Hospital in Cape Cod, MA. Here she participated in the first new-graduate nurse training program in Massachusetts to be accredited by the American Nurses Credentialing Center. She took care of patients that were ill with a variety of cardiac conditions in addition to several other comorbidities. Holly moved to Boston in May 2017 upon acceptance into Boston College’s Family Nurse Practitioner Master’s Program and shortly after was hired to work with Dr. Arnold on his research team, now known as ACTRU. She intends to graduate as an FNP in May 2020. Jodi received her Bachelor of Arts in Psychology from Boston University in 2017. Before joining ACTRU in March of 2018, Jodi worked as a Research Assistant and Senior Research Assistant in the Theoretical Cognitive Neuroscience Lab (TCN Lab) at Boston University, under the direction of Dr. Marc Howard, where their goal was to develop physically-constrained models of cognition, with special attention to learning and memory through the use of behavioral experimentation, computational tools and mathematical analyses. Prior to the TCN Lab, Jodi also worked at the Boston University School of Medicine’s NIH-funded Clinical & Translational Science Institute (CTSI) where she received training on the IRB, HIPAA, Grants Management, Human Subject Protection, and Operations and Finance, at the discretion of both the CTSI’s Finance & Operations Manager and the Director of the Clinical Research Resources Office (CRRO) at Boston University Medical School. 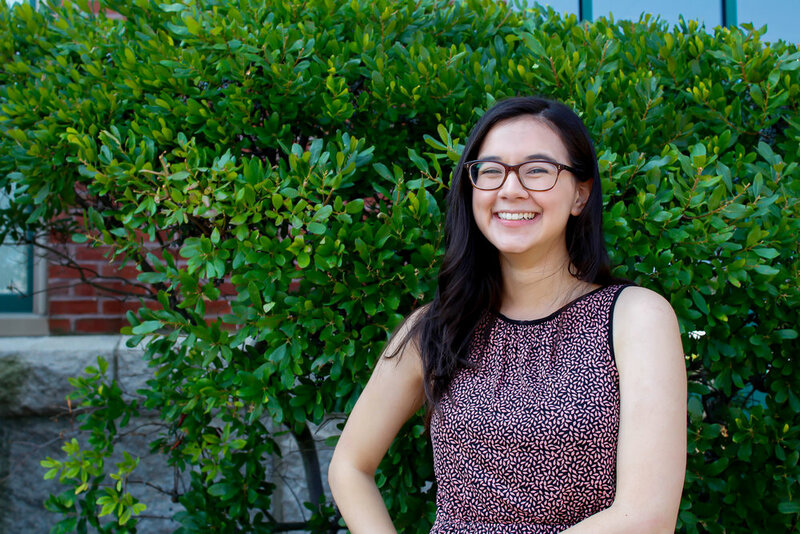 Clinical Psychology and Psychopathology are Jodi’s main interests, and she hopes to pursue her Ph.D. in Clinical Psychology in the fall of 2020. Libby graduated from Tufts University in 2018 with a Bachelor of Science in Cognitive and Brain Sciences. At Tufts, she worked in cognitive psychology and neuroscience labs, doing research on cognitive aging and Alzheimer’s Disease. She completed a Senior Honors Thesis in neuroscience and psychology that focused on an investigational drug for treatment of AD. She evaluated the effects of treatment with this drug on the behavior of mouse models of AD and tried to understand the drug’s mechanism of action by comparing AD biomarker presence in mice with and without drug treatment. She joined ACTRU in June of 2018 and is excited to be a part of their research for the next few years before attending graduate school for clinical neuropsychology in the fall of 2020. Jesse Bailey is a clinical research coordinator at the Alzheimer's Clinical & Translational Research Unit. His works primarily on the LifeSPAN Biobank study, which aims to establish a collection of samples from individuals of all ages, including those with normal cognition, mild cognitive impairment, and dementia. Jesse received his Bachelor of Arts in Psychology from Boston University in 2018 after earning his Associate of Science in Computer Technology from Benjamin Franklin Institute of Technology in 2015. Before becoming a part of ACTRU in April of 2019, he focused on technical roles, but he now intends to pursue his PhD in neuroscience after his time at MGH. Dr. James Quinn will join in May 2019 as a Postdoctoral Research Fellow in Neurology at Massachusetts General Hospital and Harvard University. He will work with Dr. Steven Arnold, Dr. Becky Carlyle and the team at the Alzheimer’s Clinical & Translational Research Unit (ACTRU) to identify mechanisms underlying dementia, new ways of tracking disease progression, effective new treatments and improved dementia diagnostics. His aim is to analyze blood, cerebrospinal fluid and brain samples of patients with dementia using proteomics and other wet lab techniques. This will hopefully lead to improved dementia diagnosis and the identification of novel therapeutic targets. James earned a first-class degree in Biology at the University of Sussex in 2015, then moved to the University of Manchester to complete his PhD in Neuroscience and Medicine in 2019. His interest in dementia research began during his undergraduate degree, where he analyzed the interaction between amyloid-beta and tau in Alzheimer’s disease pathogenesis under supervision of Professor Louise Serpell. This provided him with the expertise to undertake a PhD. Here, he studied how proteolytic fragments of tau play a role in the pathogenesis of different types of dementia under supervision of Professor Nigel Hooper and Dr. Katherine Kellett. He showed that the fragmentation pattern of tau was different between rare forms of dementia and Alzheimer’s disease. This could have key implications for how the different forms of dementia lead to the disease-specific symptoms seen in patients. He also developed novel proteomic-based diagnostic tests analysing blood samples from patients with Alzheimer’s disease, looking at both the tau peptide signature and a panel of blood proteins. He is extremely excited to join ACTRU and be a part of a creative and dynamic team aiming to personalise dementia treatment, while working towards a goal of living in a society where dementia patients will have an established and effective treatment regime. Daivid Urick left the ACTRU Group in March 2019 to pursue medicine at Duke University School of Medicine. John Ernandez left the ACTRU Group in April 2019 to pursue medicine at Harvard Medical School.